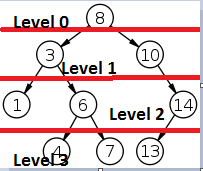 Tree traversal are methods to traverse tree in different ways. Tree traversal orders are inorder, preorder, postorder traversal.These traversal can be performed in recursive and iterative ways. When number of nodes in tree are less then we can go for recursive traversal but when we have millions of records then recursive traversal may give stackoverflow. In this situation iterative traversal are useful.